KP Law offers each client a secure virtual platform to view and access case documents, court filings, notices, calendar, and bills. “Clio Connect” gives clients the ability to view documents, upload documents for viewing, view important case deadlines, and view and pay invoices, all in a secure SSL encrypted online environment that preserves important attorney-client privileges. Clio Connect allows you to access documents that KP Law has made available to you at any time, day or night. When a document is made available for you to view through Clio Connect, you will receive an email directly from Clio Connect prompting you to log in and view your document. 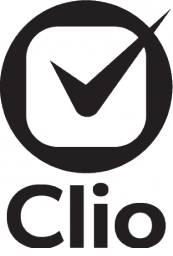 One of the most convenient features of Clio Connect is that it provides you with a secure way to send large files or documents that may contain sensitive data, such as social security numbers, directly to KP Law. You can easily upload your documents by logging in to your Clio Connect account, and our office will receive a notification that the documents are waiting. Unless other billing arrangements have been made, KP Law will make your invoices available to you via Clio Connect. Once a bill has been sent through Clio Connect, it will be stored like any other document and you will be able to access it at any time. You can even pay your bill by credit or debit card directly through Clio Connect by entering in the billing information requested on your bill. Of course, you are not required to pay your bills with a card, and we welcome paper checks via regular mail.